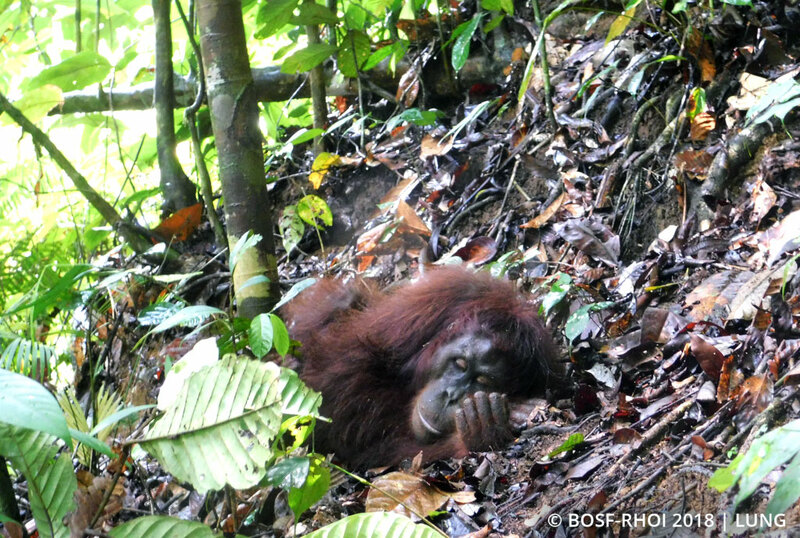 BOS Orangutan Releases: Angely is Healthy and Happy! DECEMBER 5, 2018 — On a recent, daily patrol in the Kehje Sewen Forest, our orangutan Post-Release Monitoring (PRM) team from Nles Mamse Camp detected several signals from Angely’s radio transmitter.. After two hours of trekking through the Kehje Sewen Forest, the team finally located Angely, casually laying on a tree branch. She appeared to be in good health, with her thick, orange hair glowing in the sunlight. As documented in previous observations of Angely, she heartily ate the various natural foods on offer around her. That day, she was happy to eat young leaves and bark; and after getting her fill, lay down on a large branch to enjoy the cool breeze wafting through the leaves. After a short rest, Angely descended to the ground to pluck some shoots, then retreated to the treetops to eat her favoured jabon fruit. 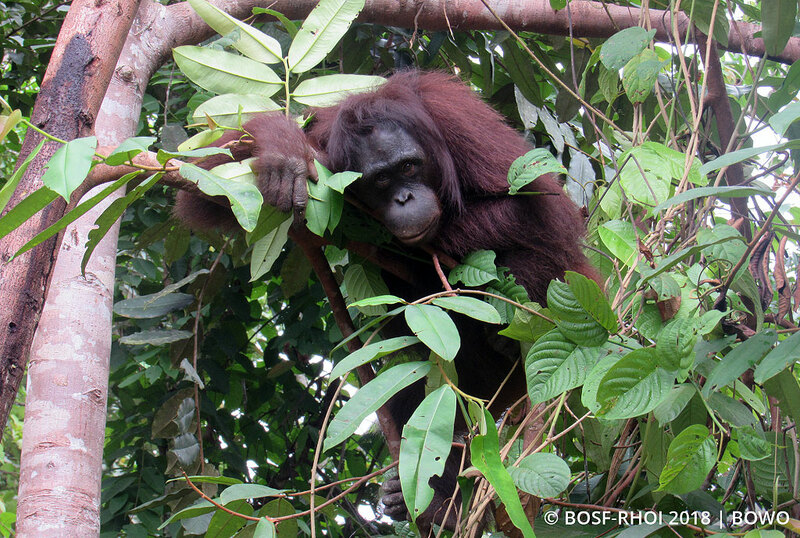 Since her release in May 2016, Angely has adapted very well to forest life. She is an adept forager and nest builder, and has even mastered the sometimes comical but important skill of making ‘rain hats’ from large leaves when it rains. Another unique thing about Angely is that she will prepare night snacks for herself, by filling her nest with forest foods right before she retires for the evening! Judging from her eating habits, it is no wonder she has remained healthy since being released to the wild. 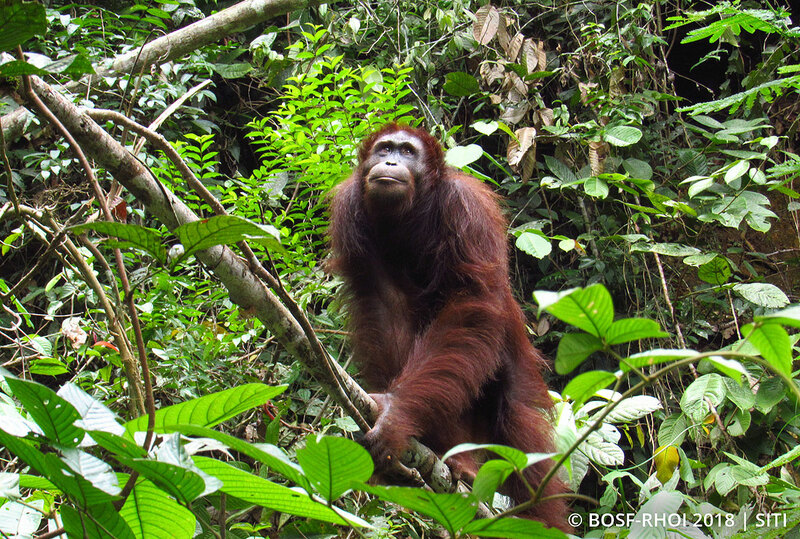 We are delighted to confirm that Angely is in good health and thriving in her forest home. 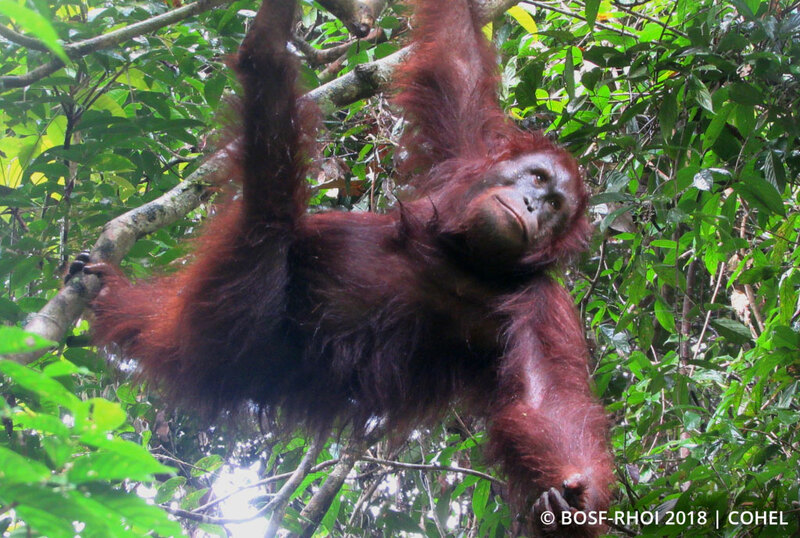 May she continue to blossom in the Kehje Sewen, and live a long, happy life!